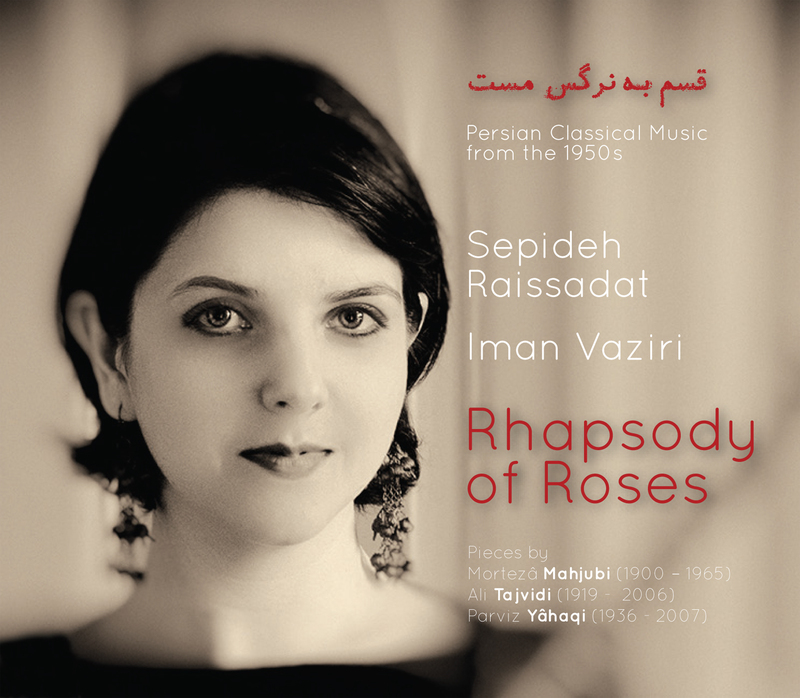 “Rhapsody of Roses”, Sepideh Raissadat’s latest album has been released on July 15th 2014. This new work is a tribute to the past masters of Persian music such as Morteza Mahjubi (1900-1965), Ali Tajvidi (1919-2006) and Parviz Yahaqi (1936-2007), whose compositions have been regularly featured by master vocalists in the famous national radio program called “Golha” (1956-1979). These songs (Tasnifs), previously performed by Marzieh, Delkash and other vocalists, are separated by Sepideh’s vocal performance accompanied by Iman Vaziri’s Tar. Ali Rahimi (Tombak) accompanied them as well on some occasions. The particularity of this album remains in its recording style, following exactly the way the Golha used to be recorded: the orchestra and the vocalist performed and recorded together as in a live performance, giving the result an astonishingly vivid and natural aspect, a technic that is long forgotten in Iran. The album is now available on major distribution platforms such as Itunes, Amazon etc.